1.Unique curved Appearance, simplify and beautiful. Compact structure design and durable. Easy install, waterproof and dustproof. 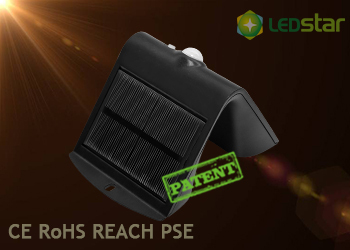 2.Adopt high quality monocrystal silicon solar panel. 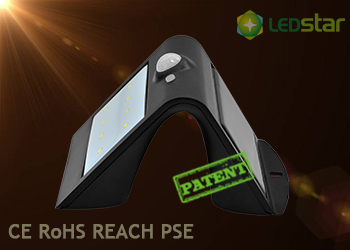 High conversion solar photoelectricity. Lifespan is more than 20 years. 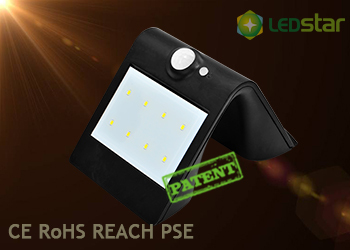 3.Use the new generation SMD LED as light source, high brightness, high stability. 4.Scientific human induction design. Wide angle detection way, body movement detected in large angle and longer distance. 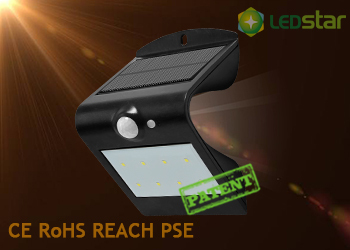 The solar wall light can be used in all the areas where are inconvenient in electricity but full of sunlight such as balcony, window, wall, porch, passage, alley, pavilions, building, block, outdoor garden decoration,country lane etc.